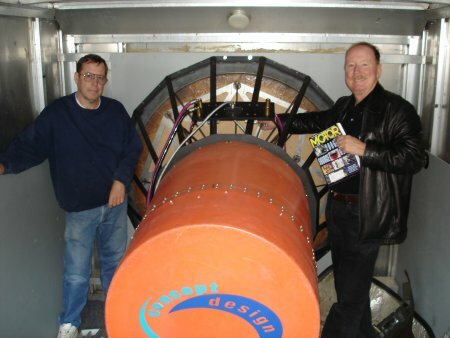 Unfortunately, Tim and his crew didn't realize just how much acoustical power the sub could generate, and didn't build the vehicle to contain it appropriately. Even at less than 1/2 output, the doors were blown off the tracks, and the entire vehicle ballooned in and out several inches. The woofer was installed in the "bread truck" anyway, and it went to Finals not fully tested. I'm afraid Doc Brown beat them to the punch some 20 years ago, though.